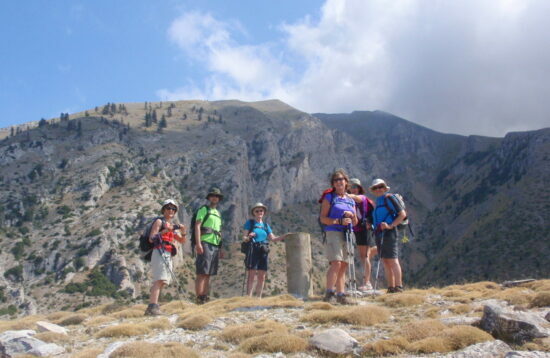 Kalypso I section – Mt. 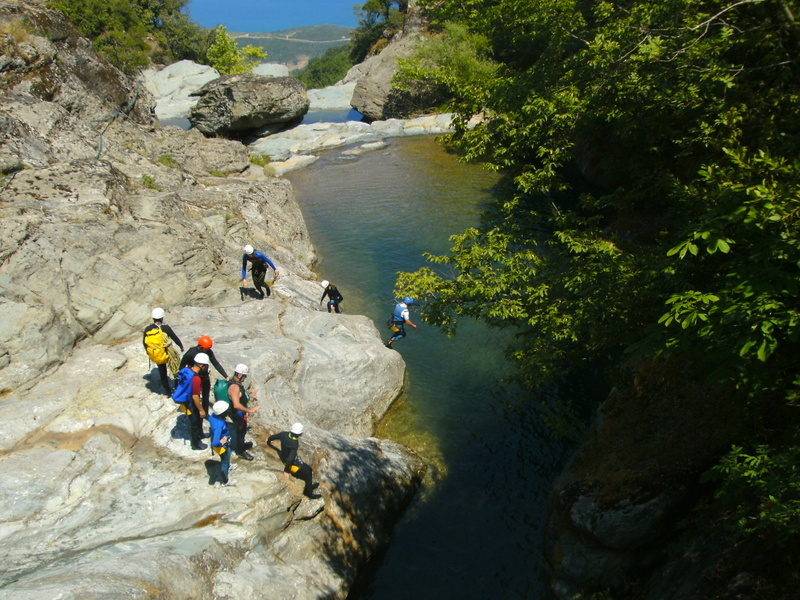 Kissavos (Ossa). 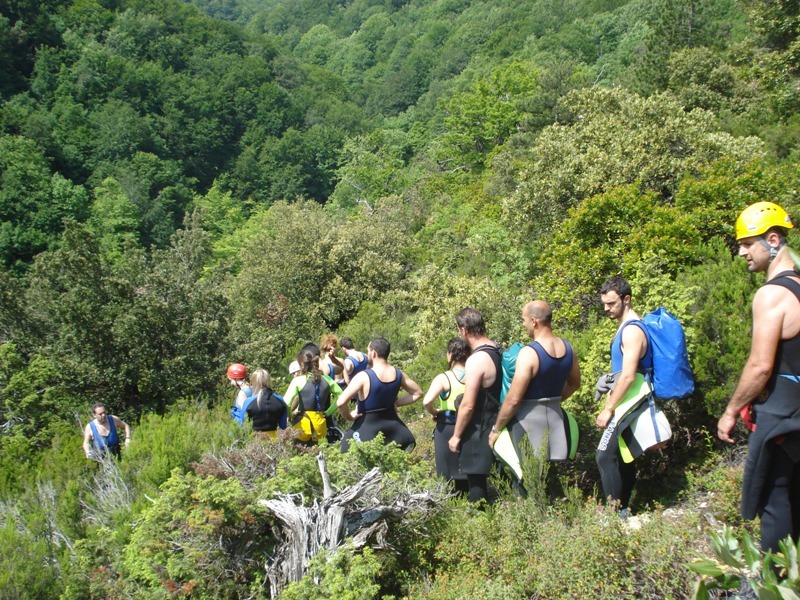 Start 700m – Finish 500m – Drop 200m. 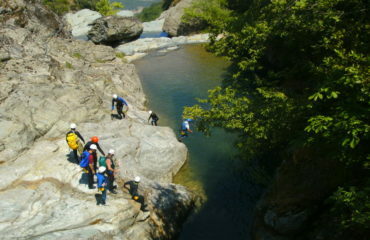 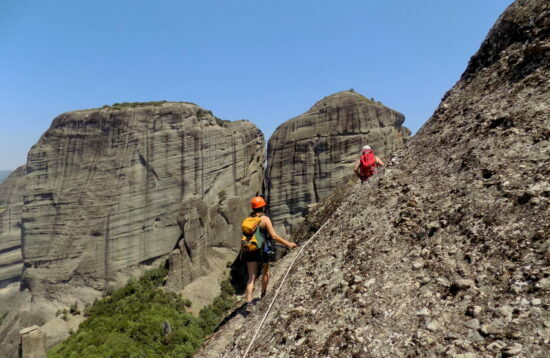 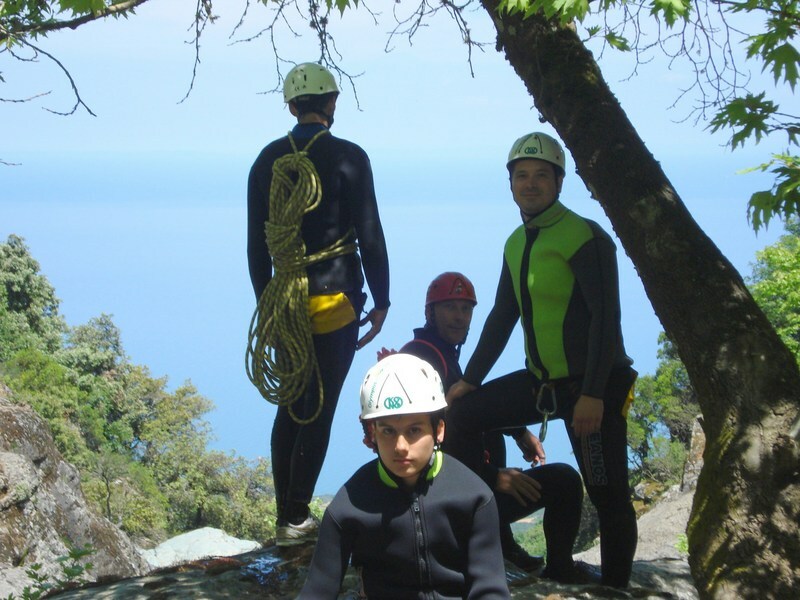 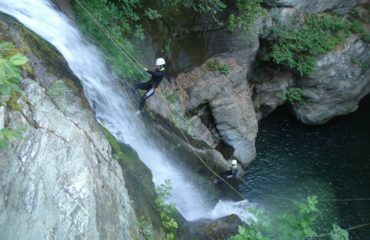 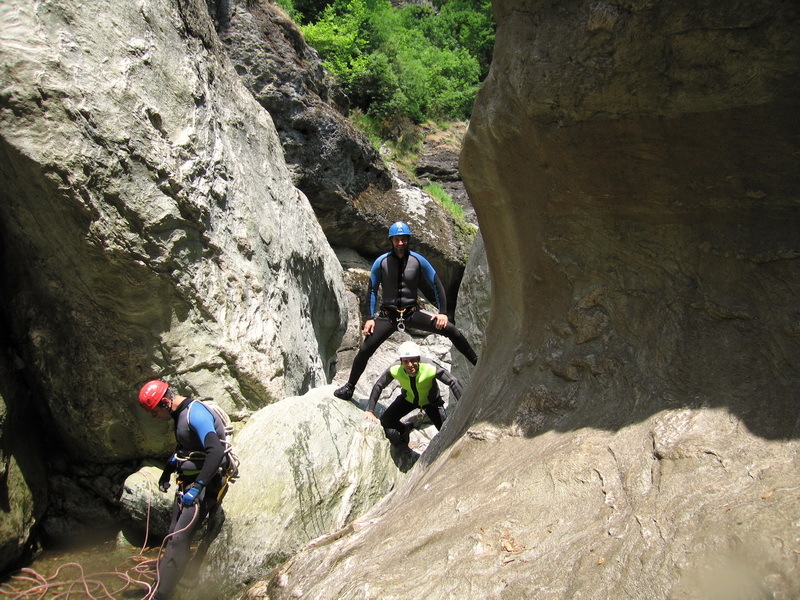 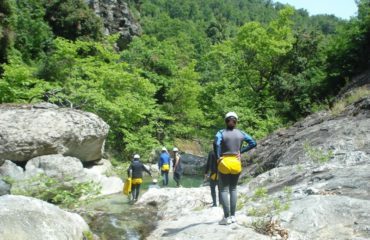 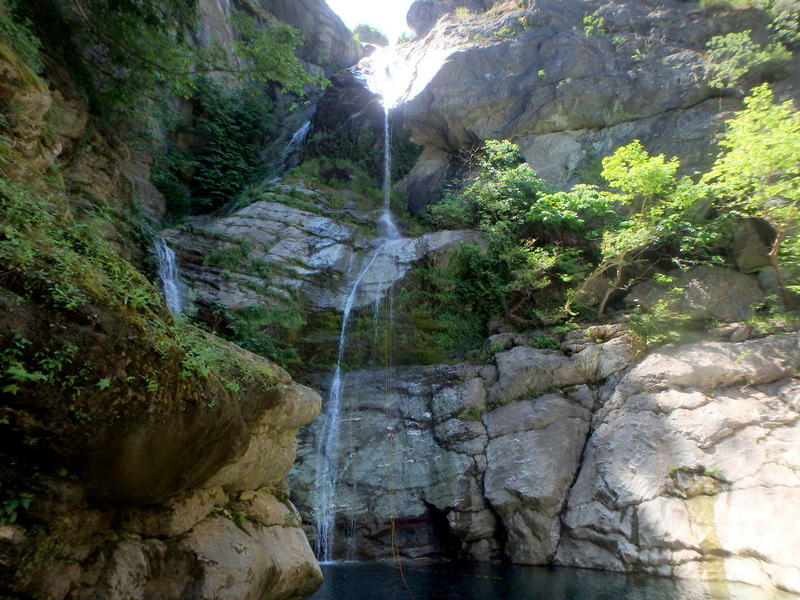 Meet in Karitsa like for all Canyons on northeast Kissavos (Ossa). 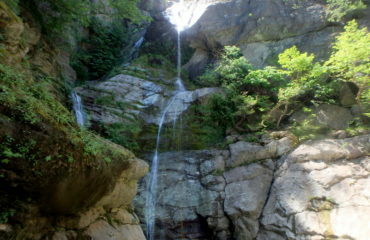 This is a nature’s miracle on the eastern forested slopes of Mt. 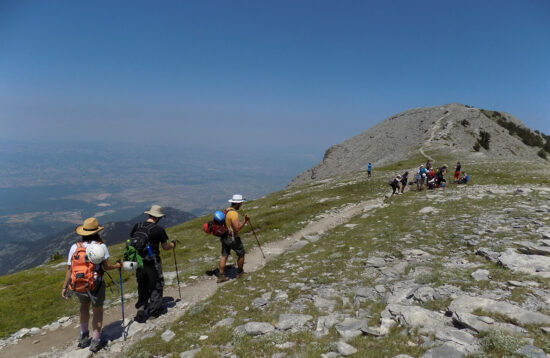 Kissavos, overlooking the Aegean Sea. 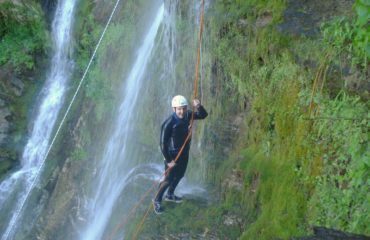 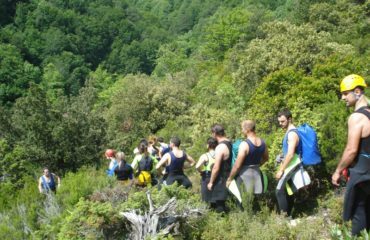 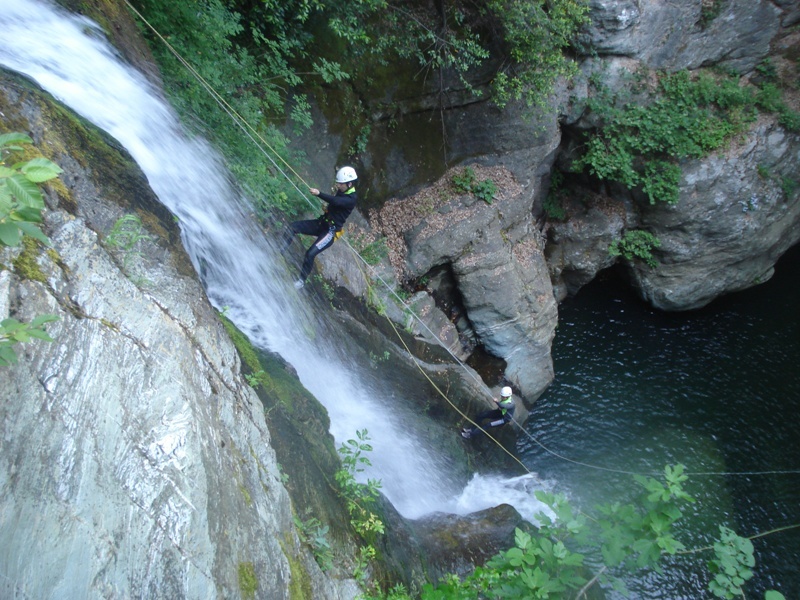 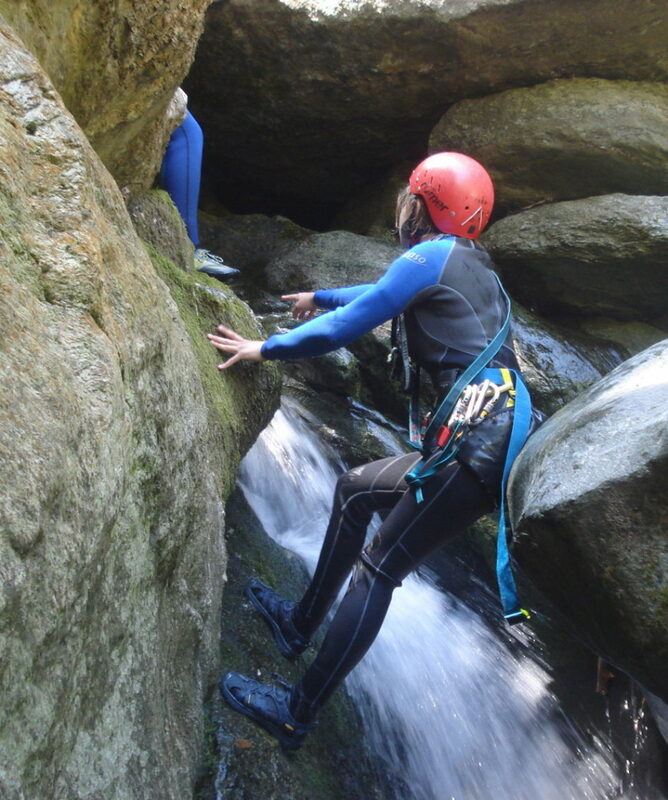 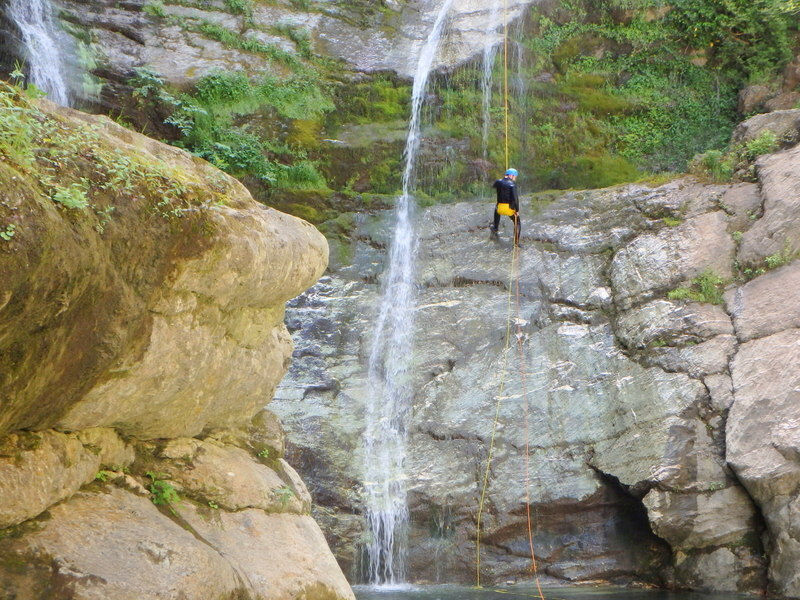 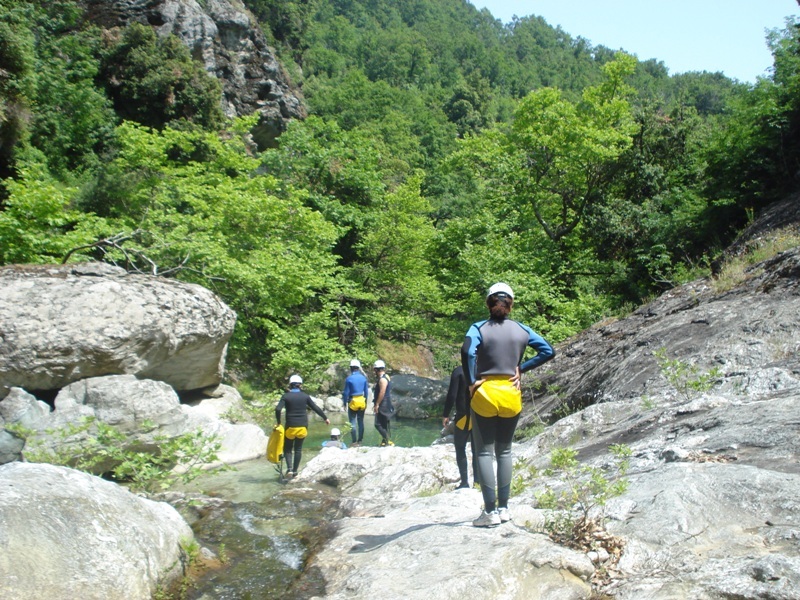 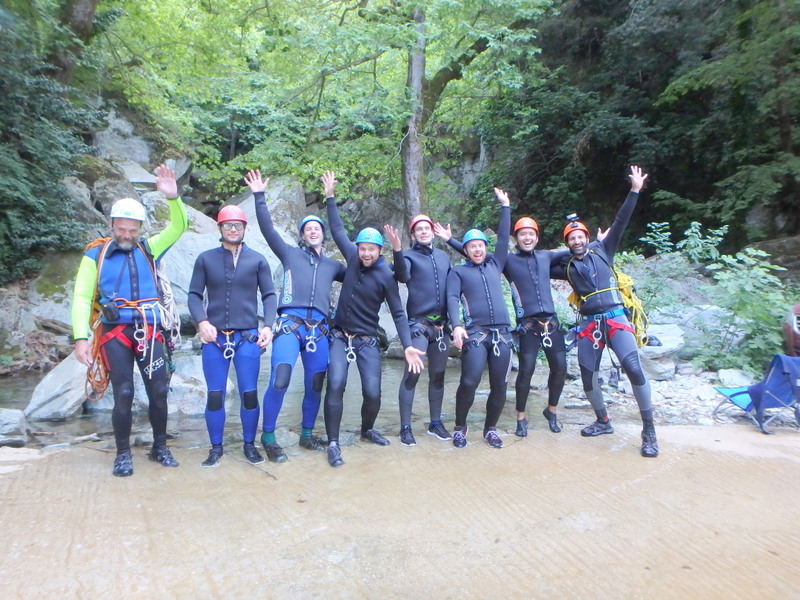 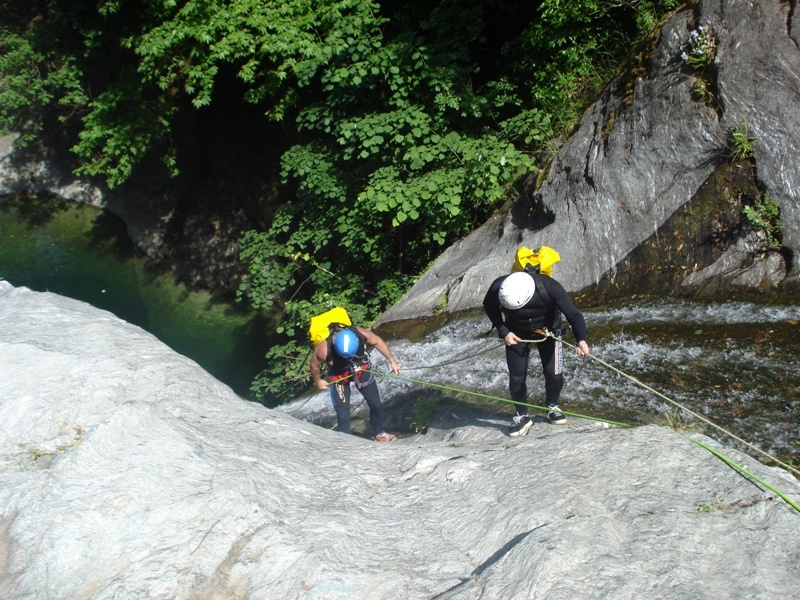 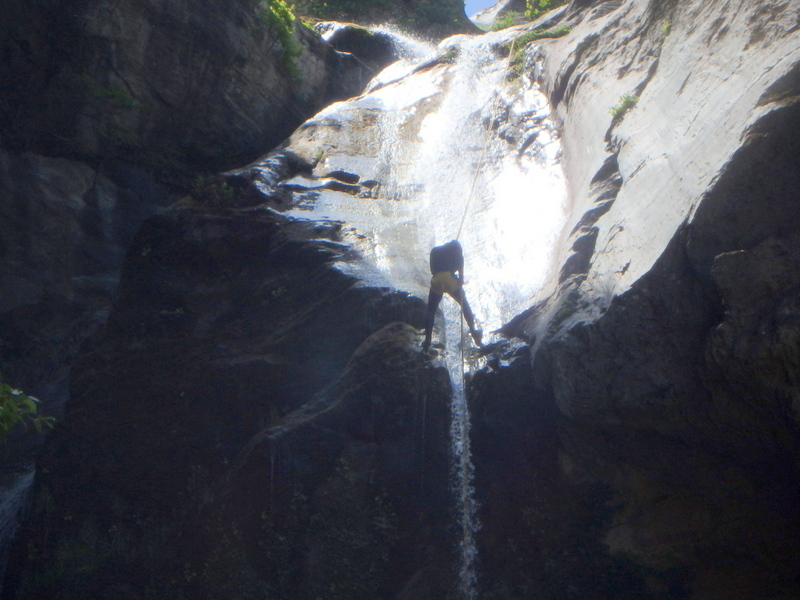 An hour’s walk in great nature brings us to the starting point of the canyoning section above the great waterfall and the canyoning adventure starts! 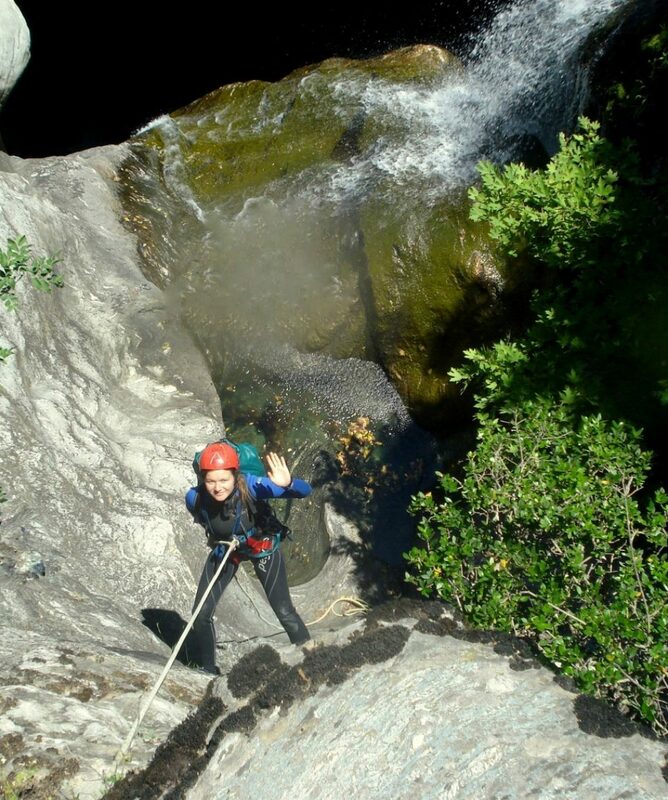 Some say that it is one of the most impressive canyons in the country and definitely a “must” for every canyoner and a cherished challenge for first timers. 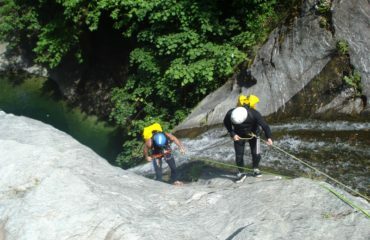 Previous canyoning experience of some degree would be appreciated. 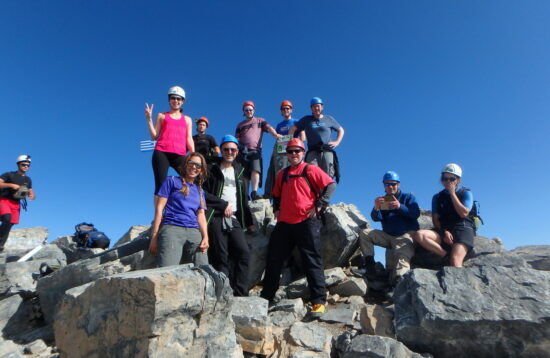 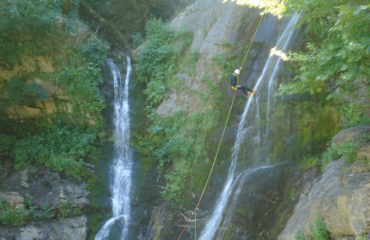 Six abseils (12m, 60m!! 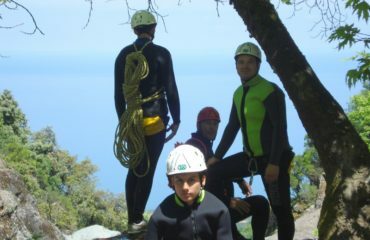 !, 7m, 25m, 15m & 30m!! 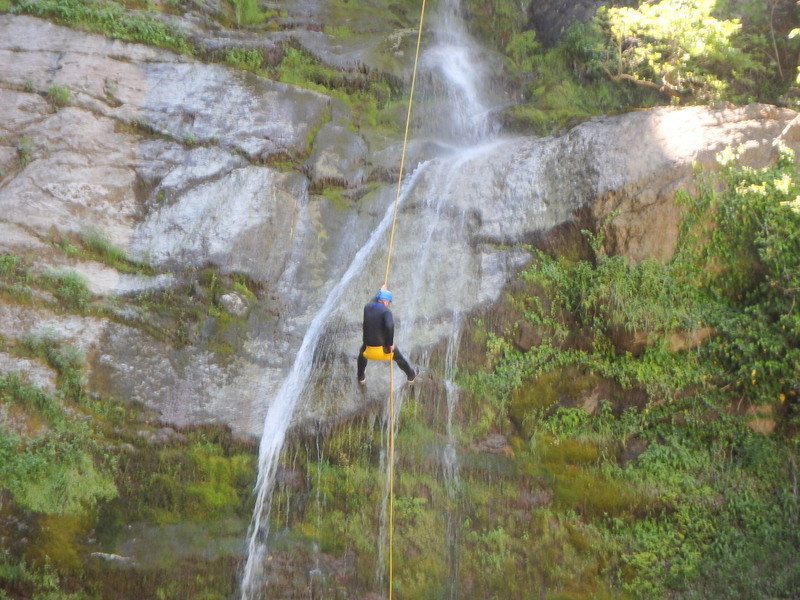 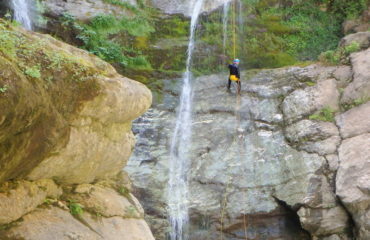 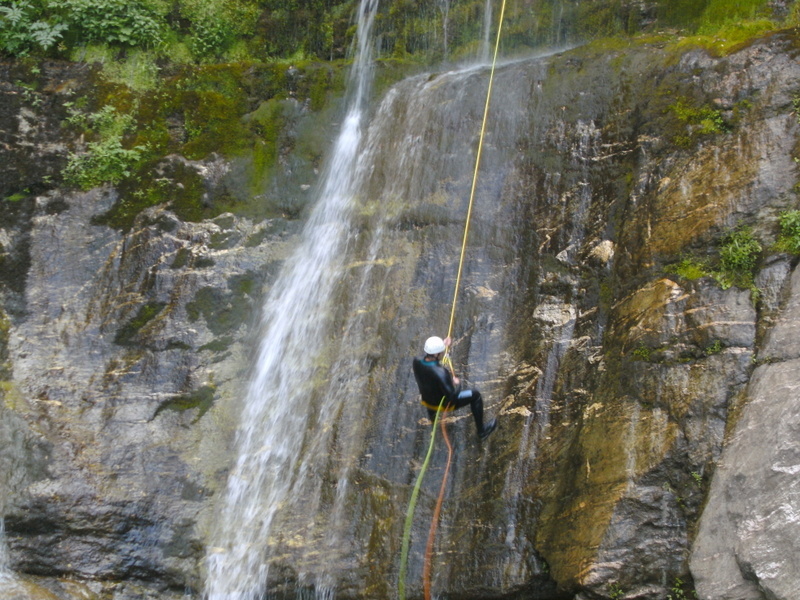 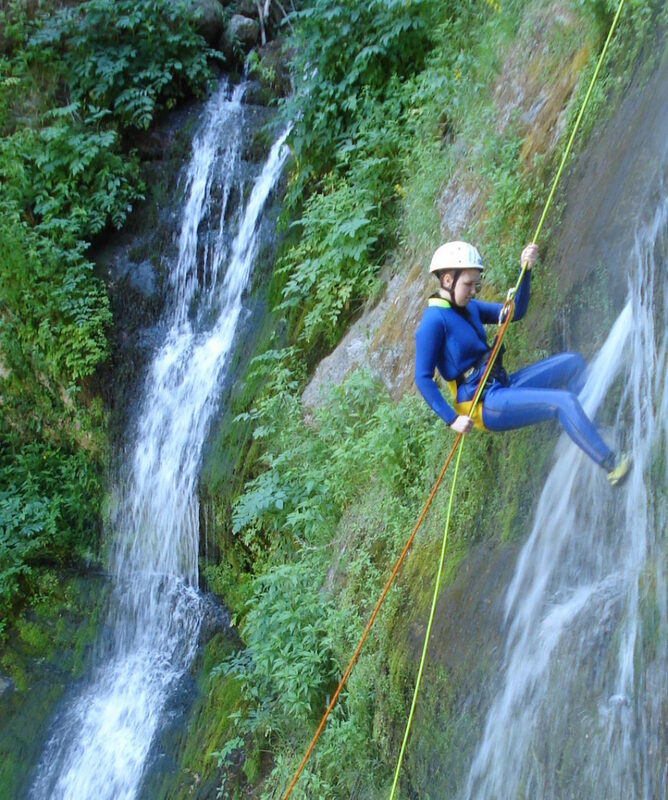 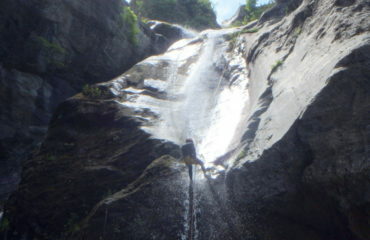 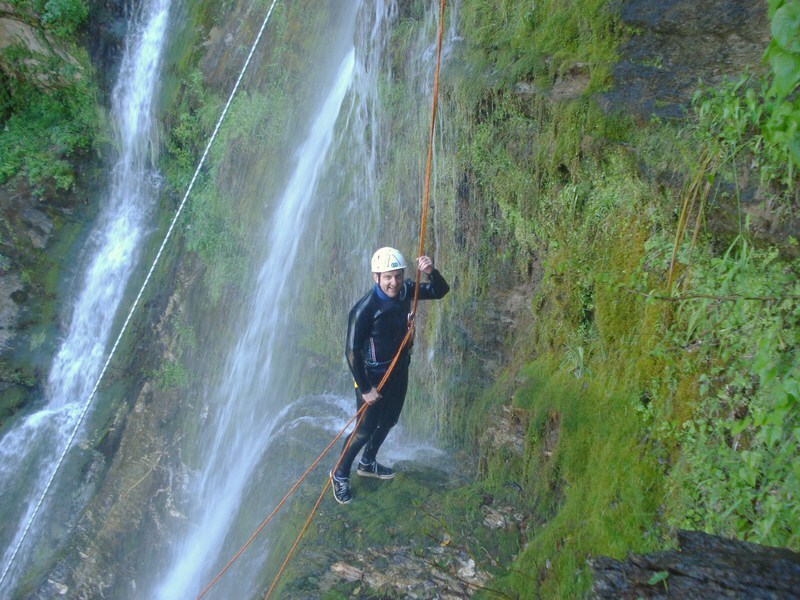 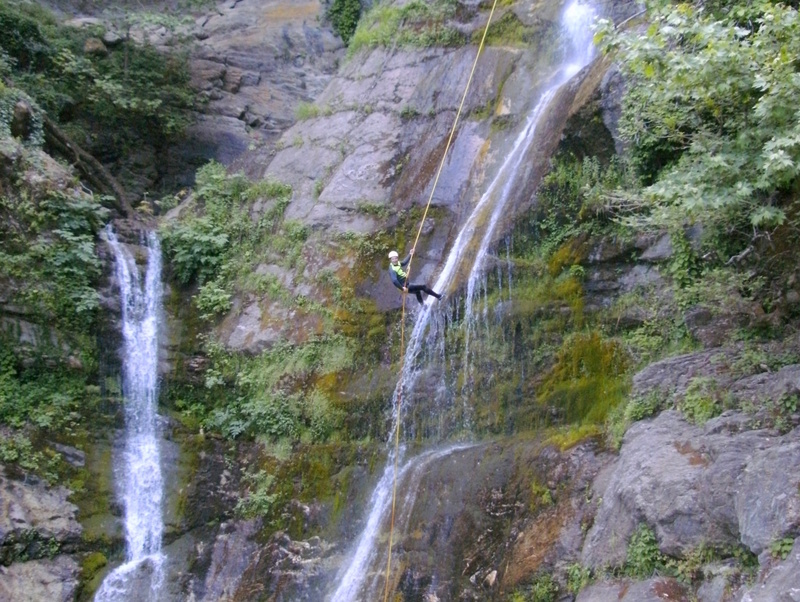 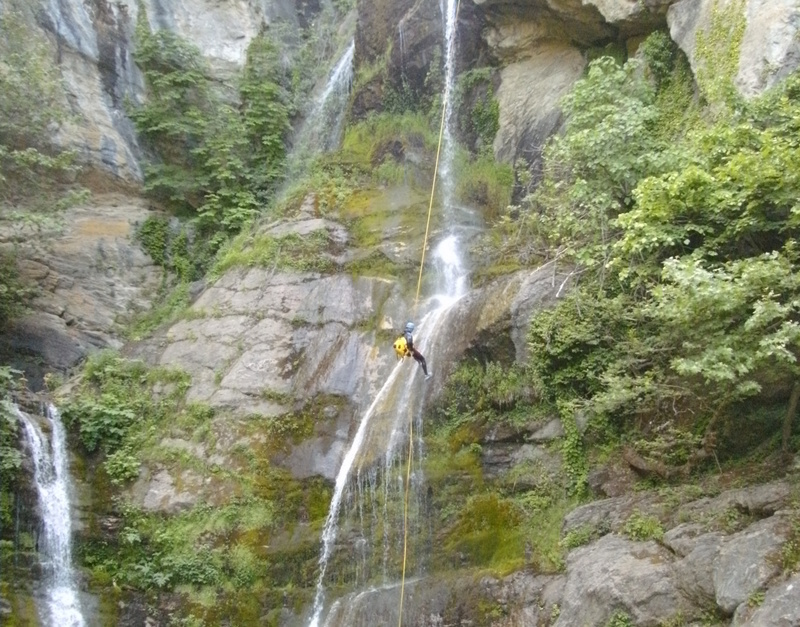 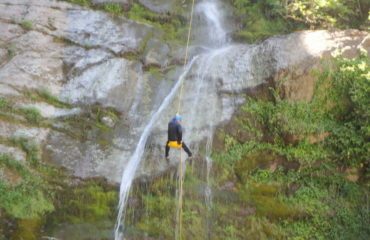 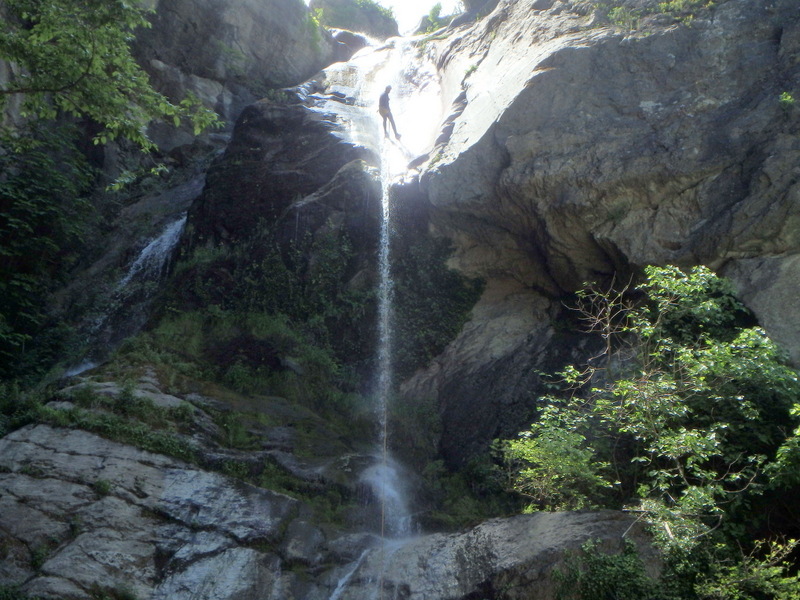 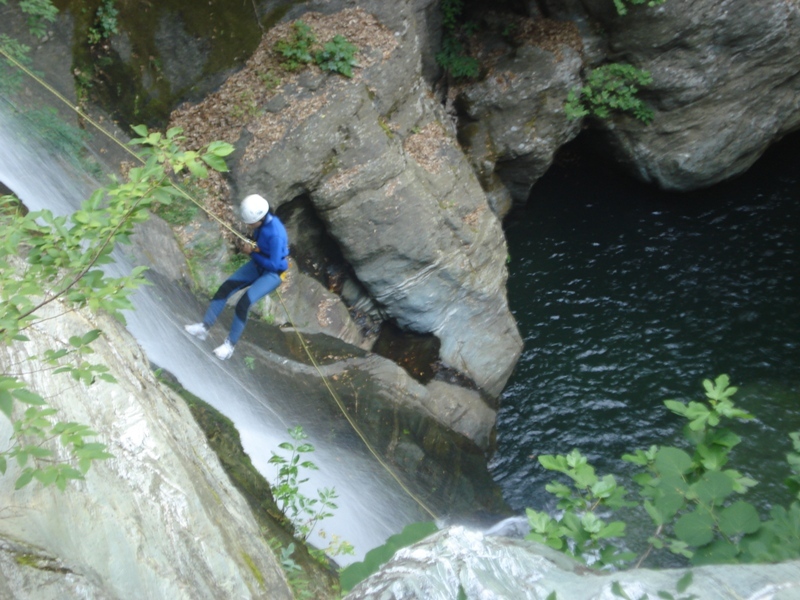 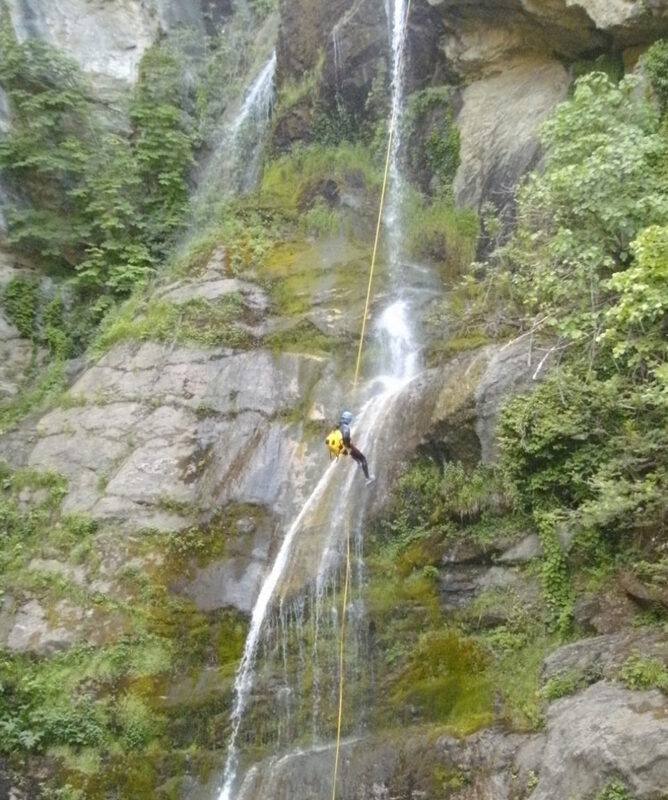 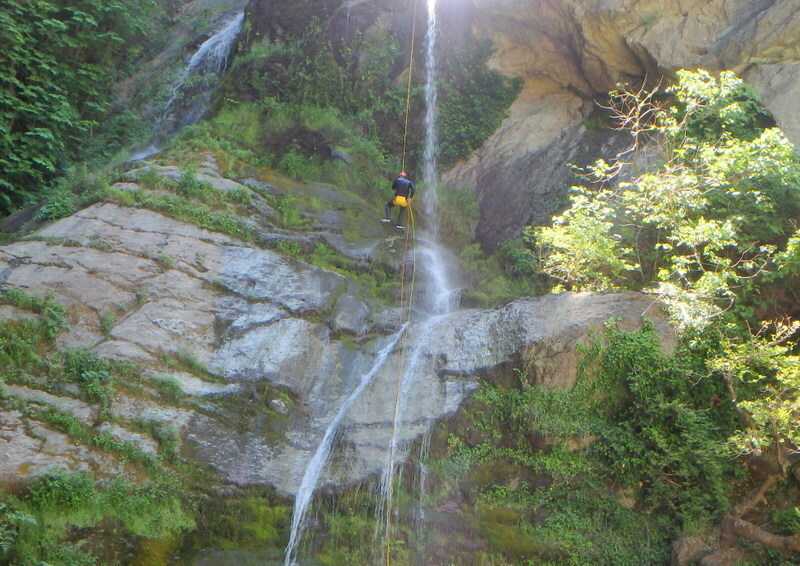 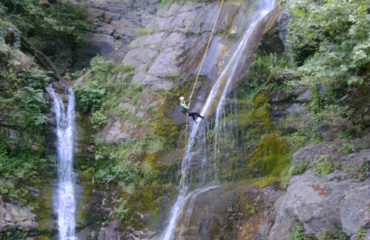 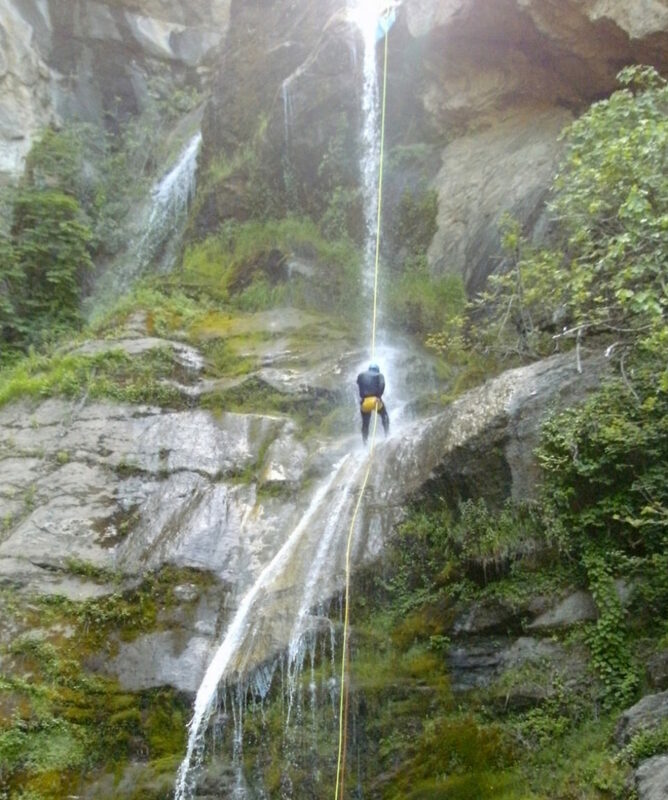 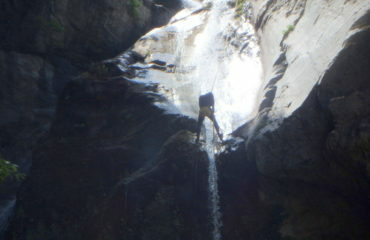 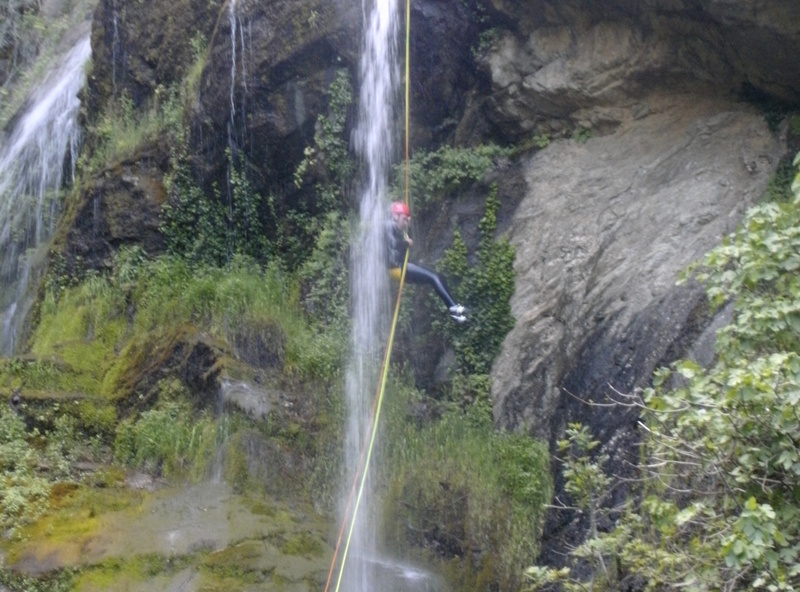 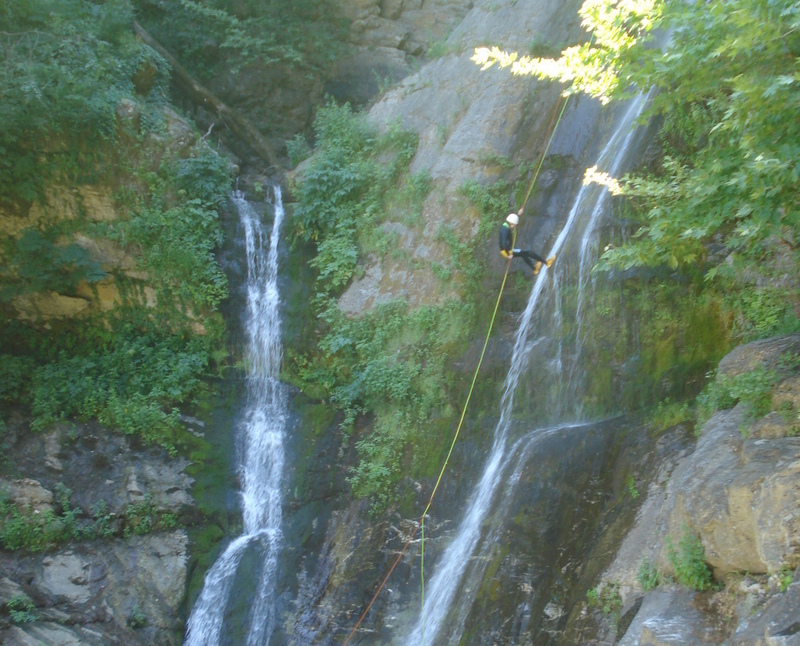 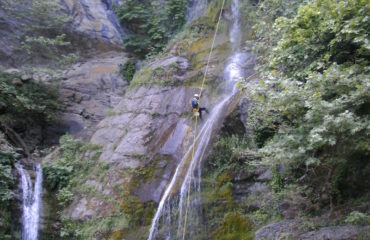 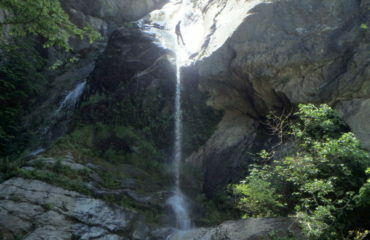 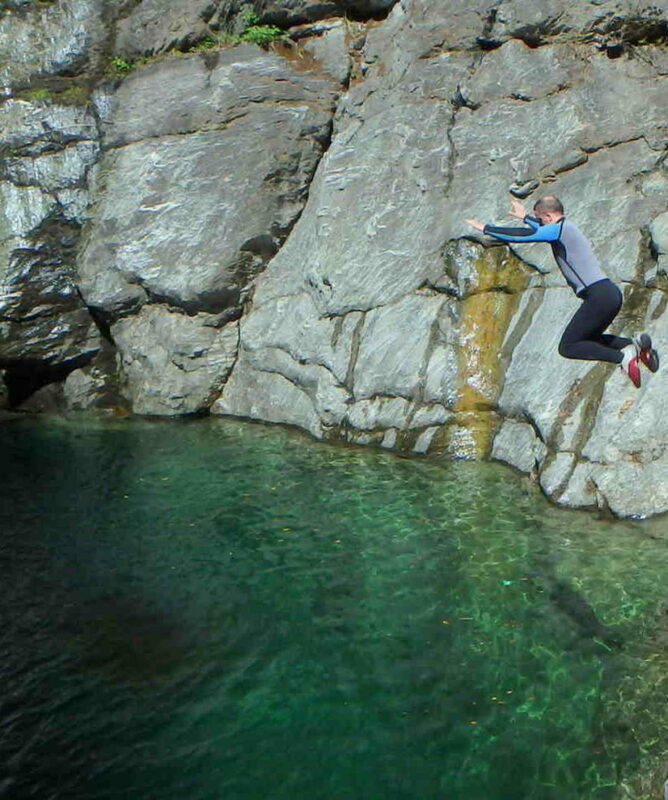 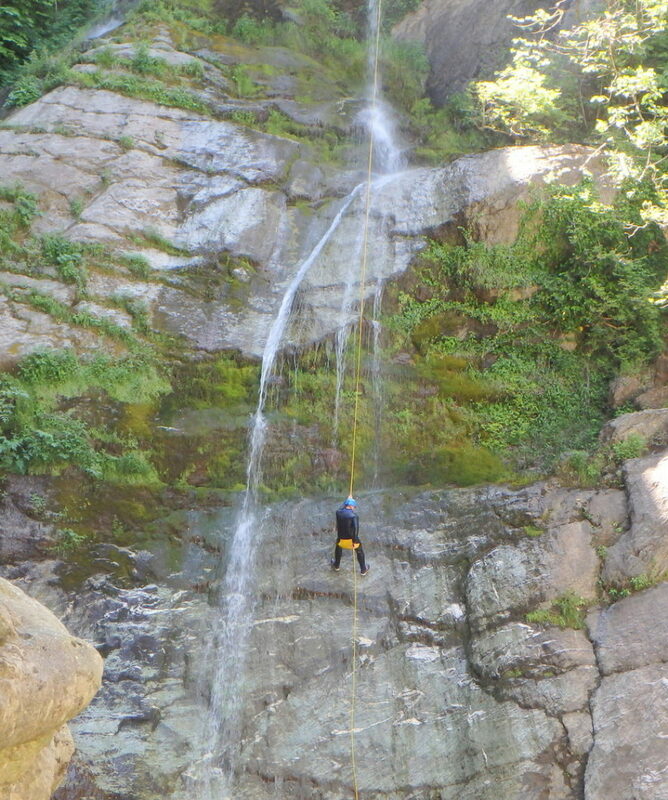 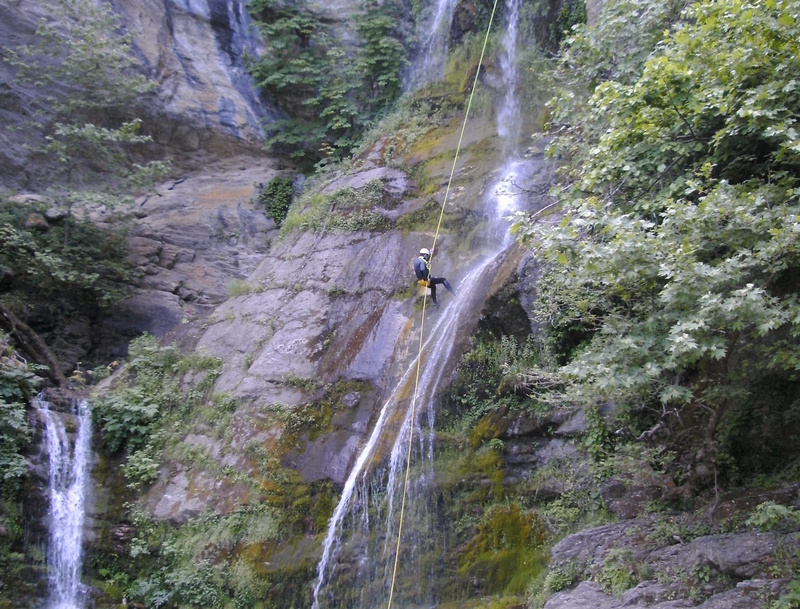 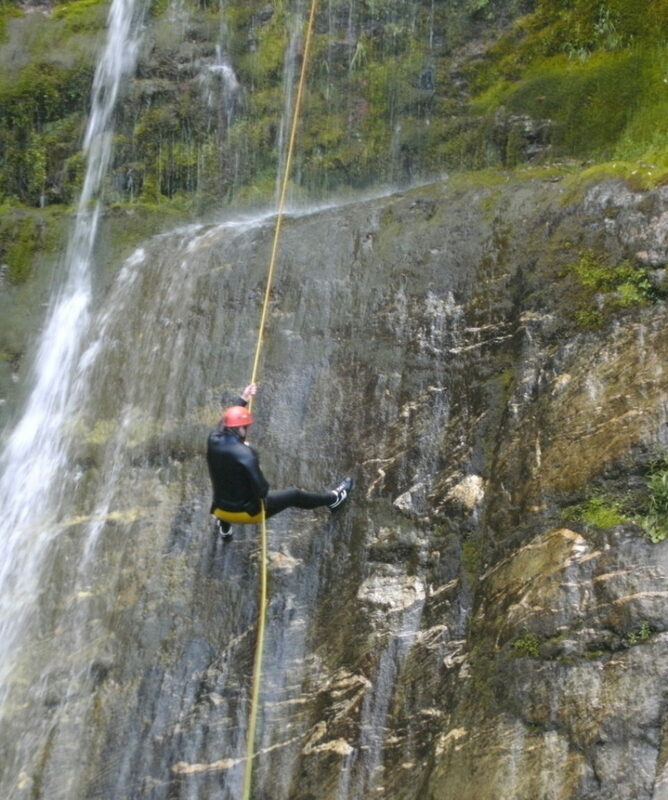 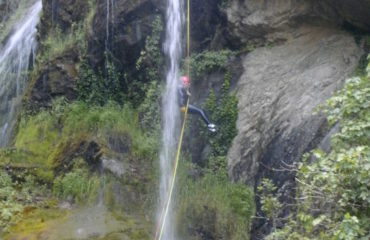 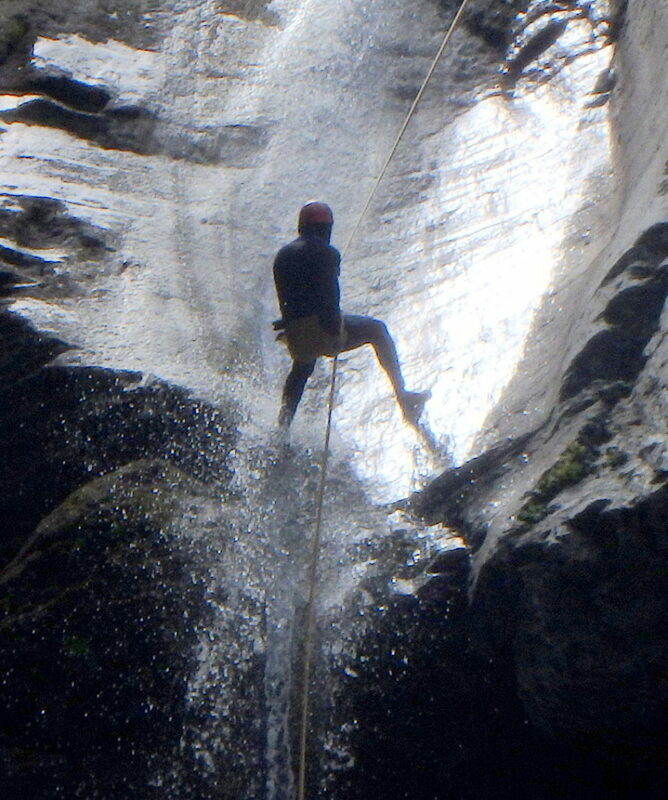 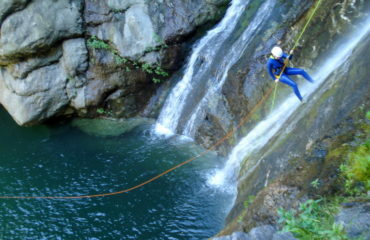 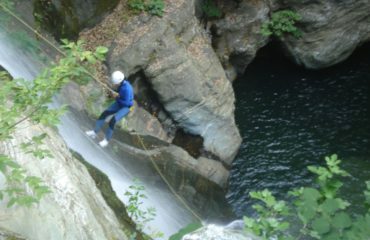 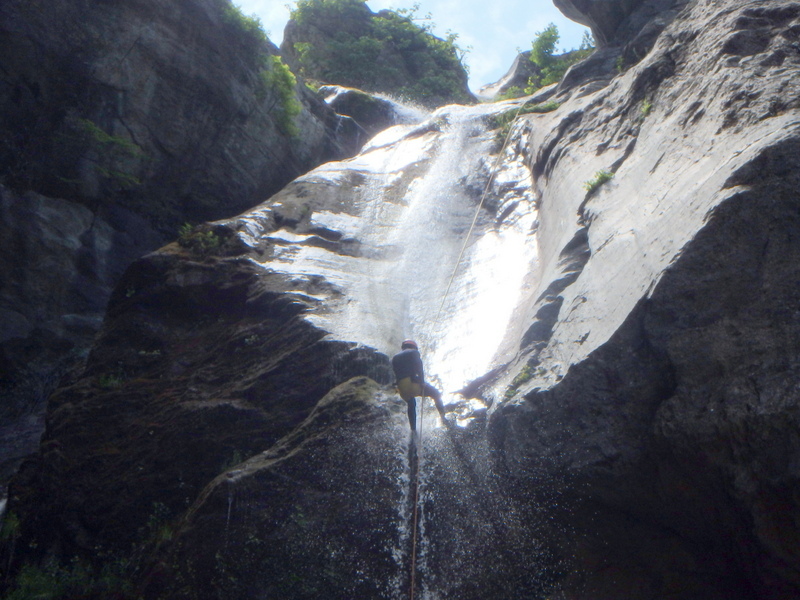 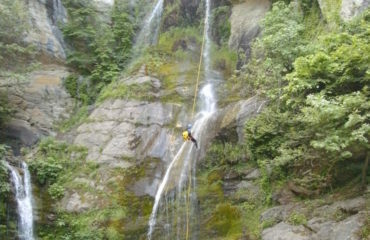 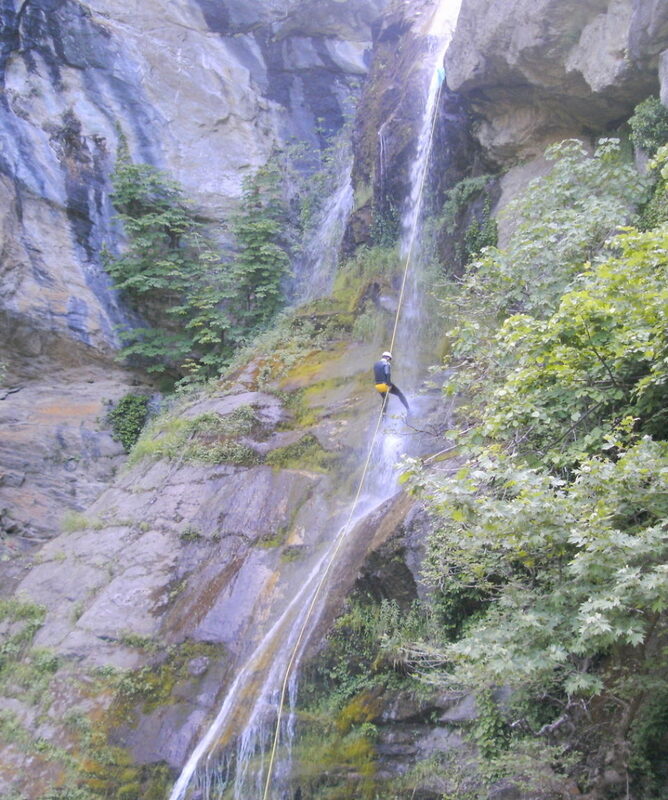 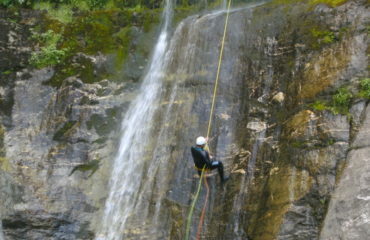 ), Abseilng down the great 60m waterfall, is a unique experience of its own! 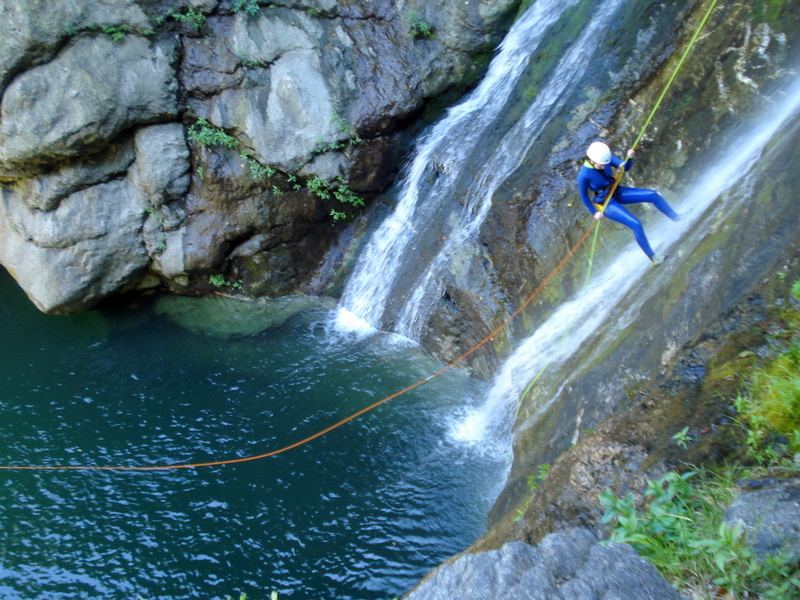 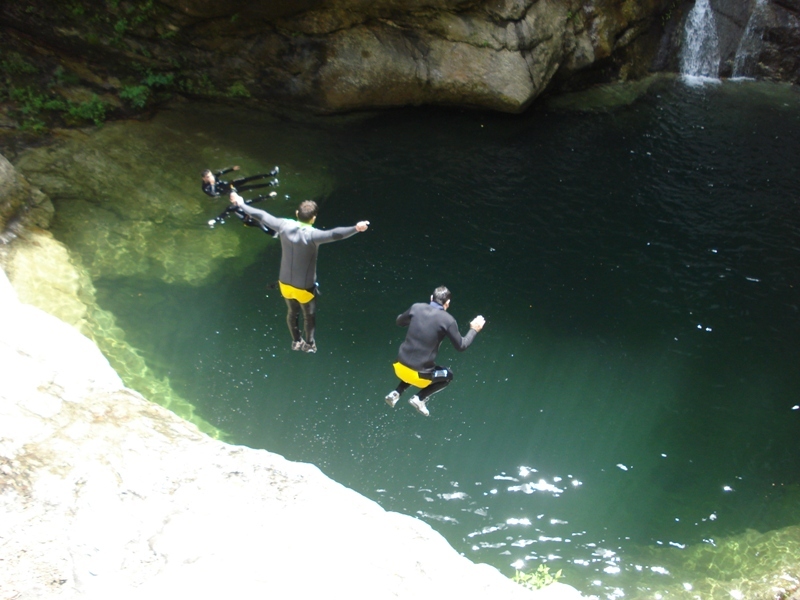 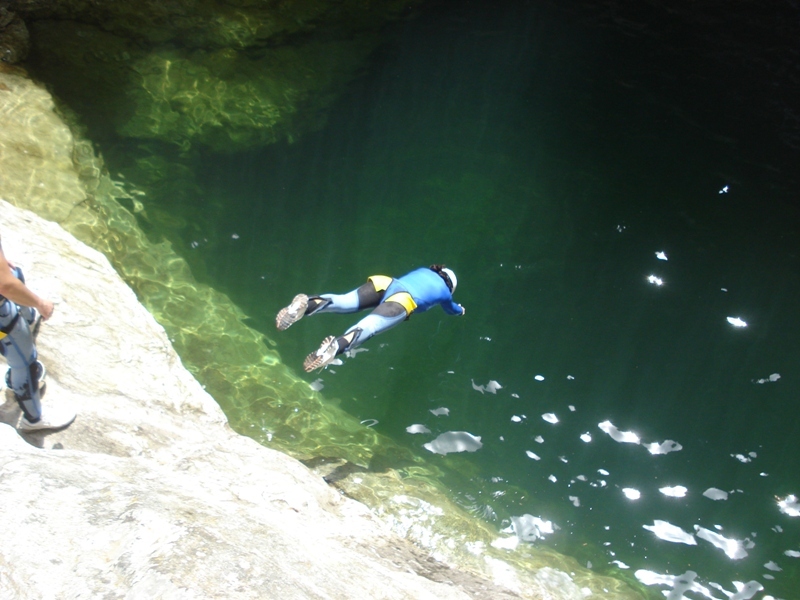 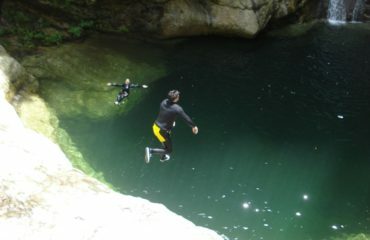 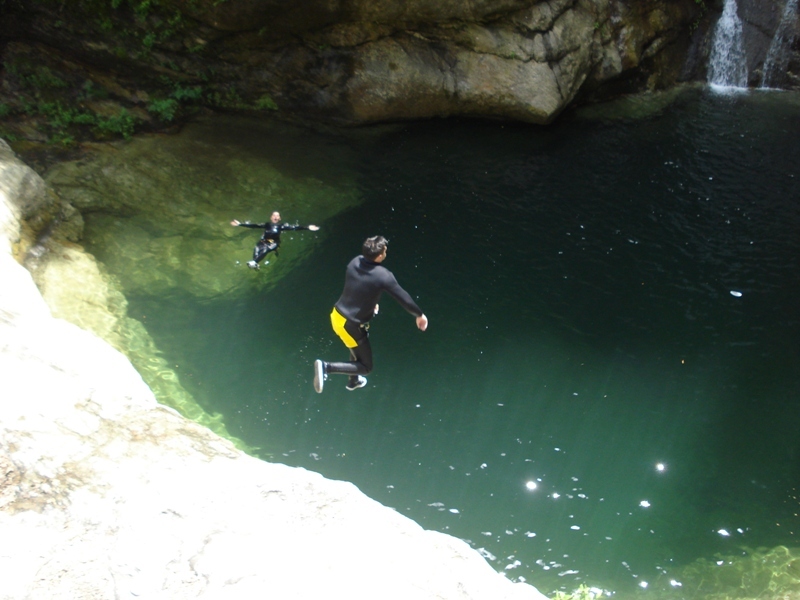 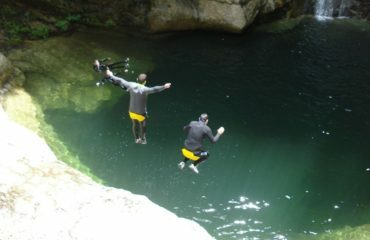 Along with waterslides, several jumps in large crystal clear pools and an amazing natural environment compose the unique character of this canyon. 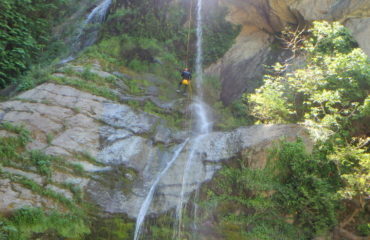 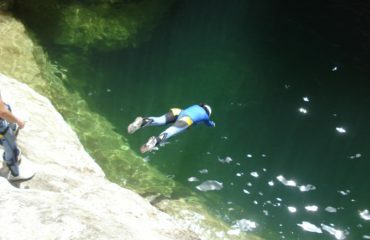 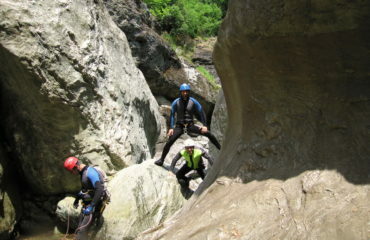 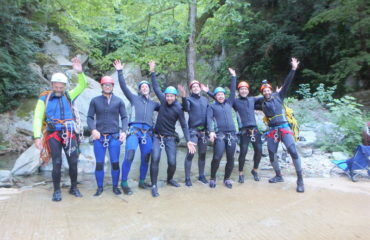 Actual canyoning time, 4.30’ to 6.00’ hours.